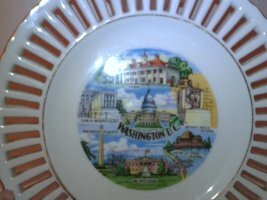 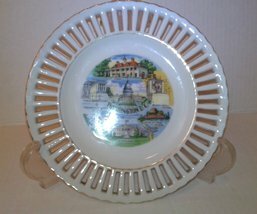 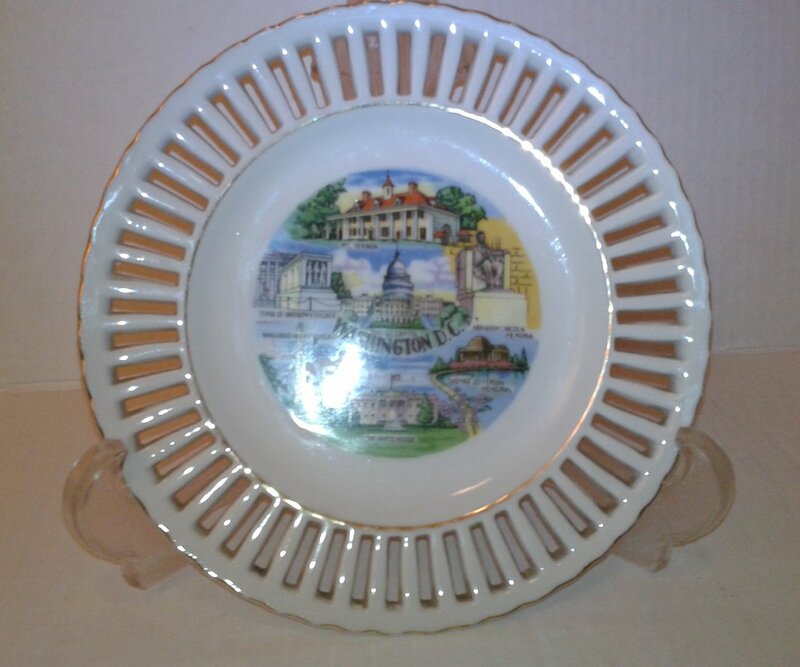 Washington DC Small Decorative Souvenir State Plate Reticulated Rim Gold paint intact, graphics intact and colors vivid. Add this to your state plate collection The Plate measures 7" in diameter. 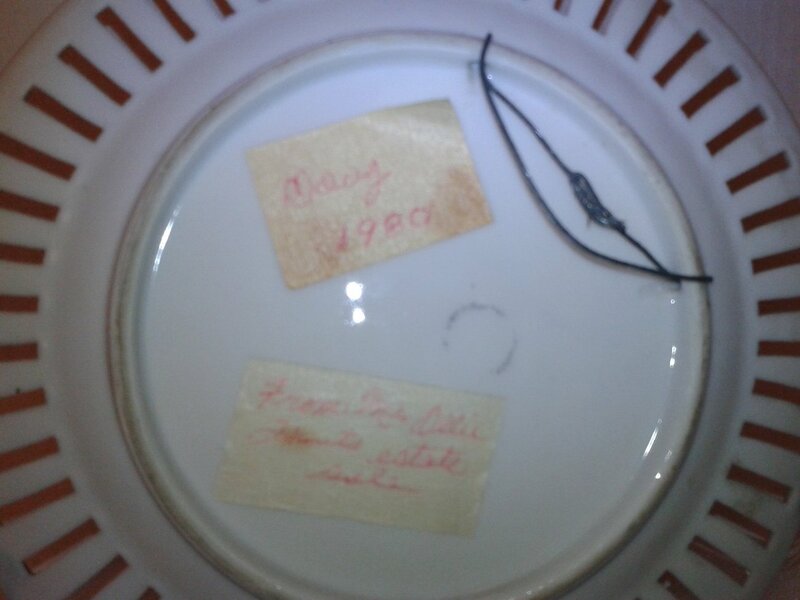 Has lacy open-work and gold trim around the edges. 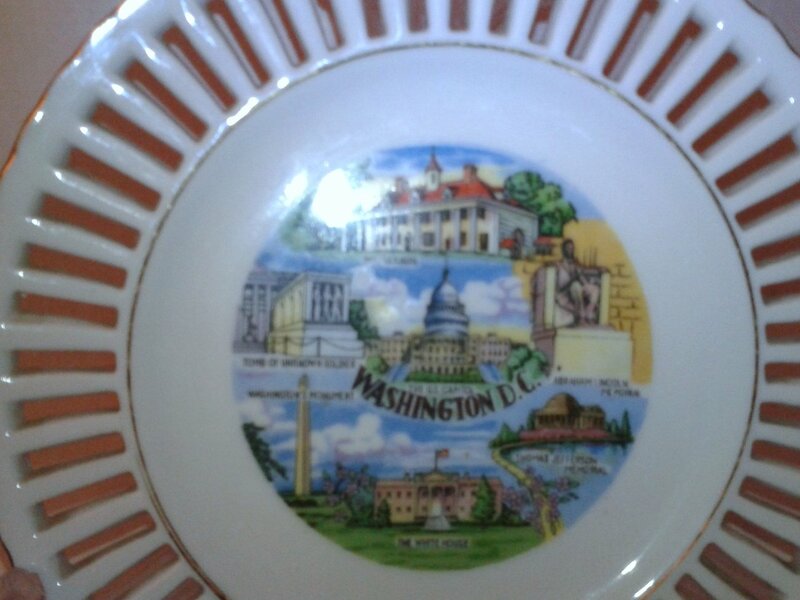 Gold trim inside the plate as well. 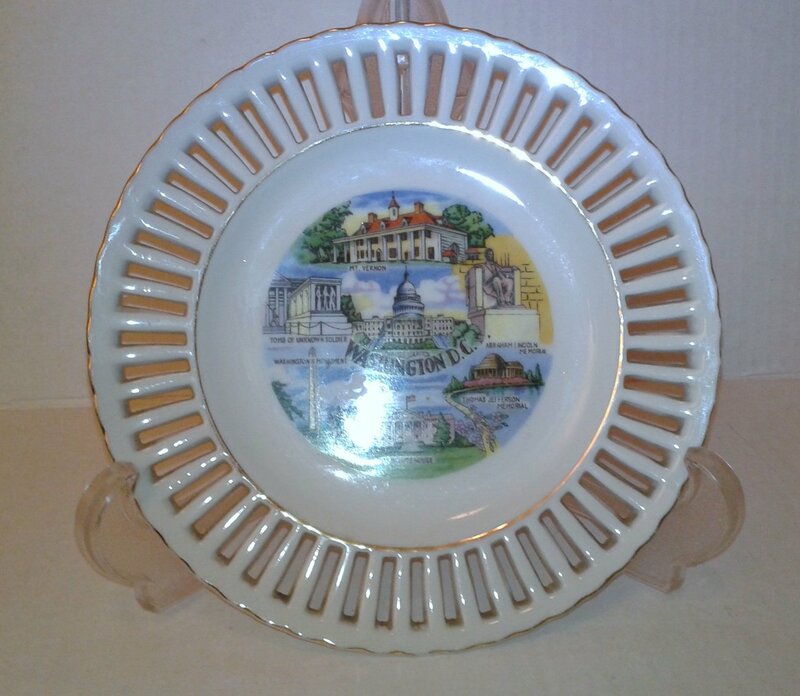 The back of the plate has tape saying this piece is from Mrs. Ollie Hunts Estate sale to Doug 1980. There are no chips or cracks. 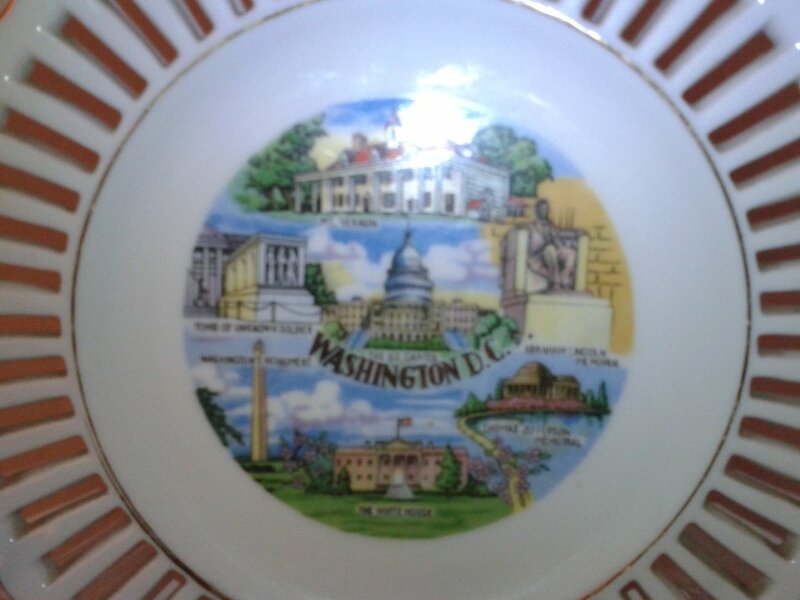 Nice image of Washington D.C.